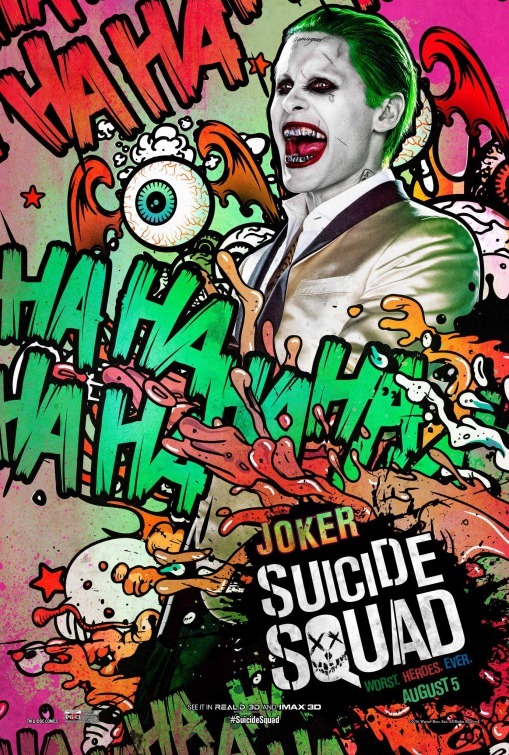 In this Summer's adaptation of DC Comics Suicide Squad, Jared Leto plays the psychotic arch-nemesis of Batman, 'Joker'. 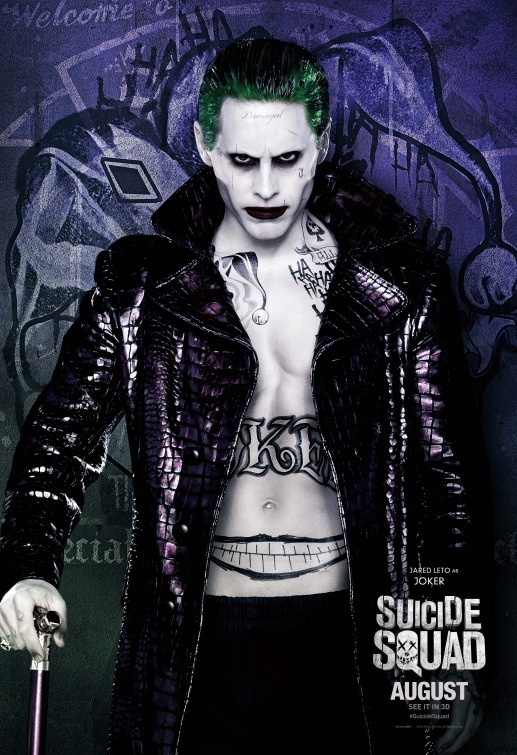 In the film a shadowy government agency recruits the worst supervillians, killers and mercenaries to work for a covert task force to execute high-risk black ops missions in exchange for more lenient prison sentences. 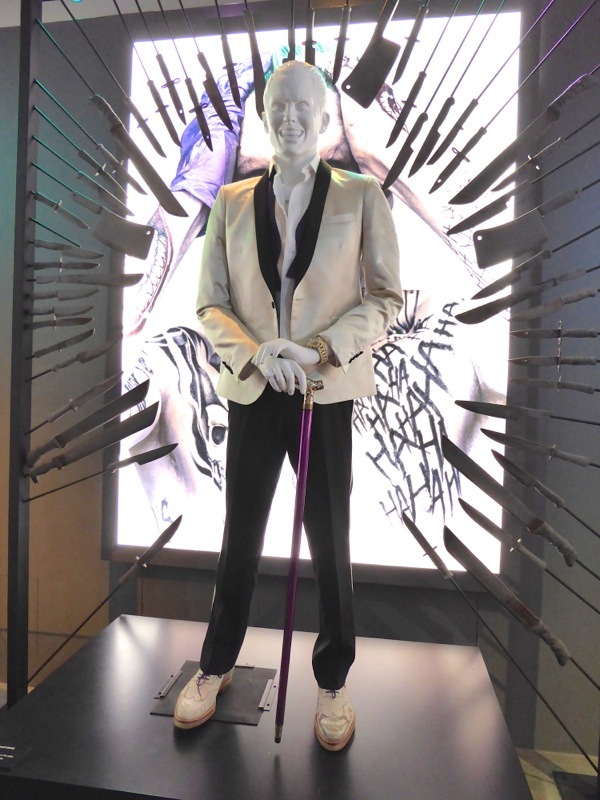 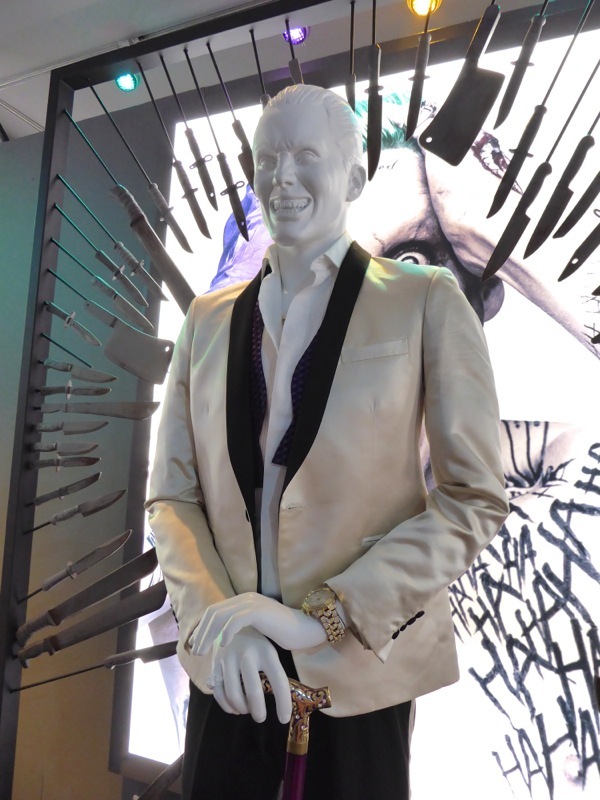 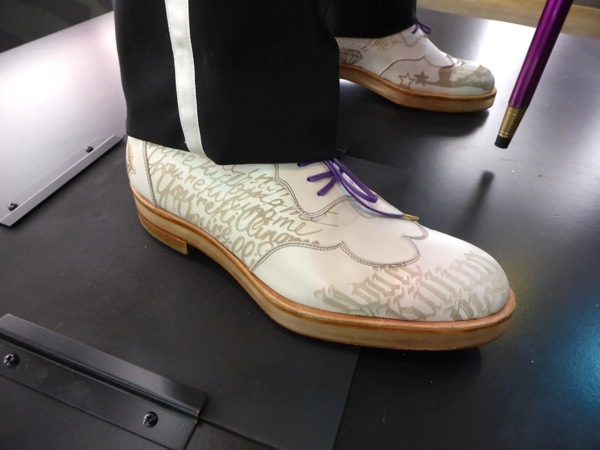 This tuxedo style Joker costume was photographed on display at Warner Bros. Studios VIP Tour Museum on June 9, 2016, alongside other original Suicide Squad movie costumes and props, including 'Harley Quinn', 'Deadshot', 'Captain Boomerang' and more. 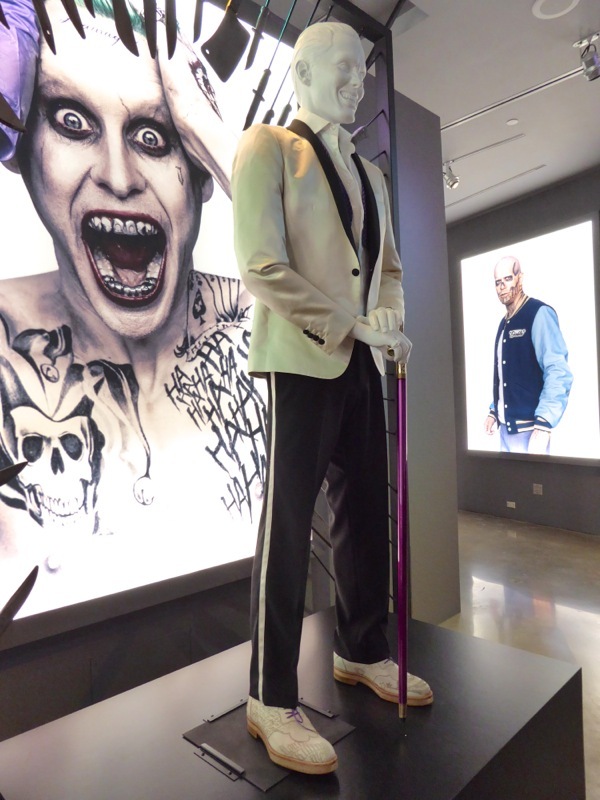 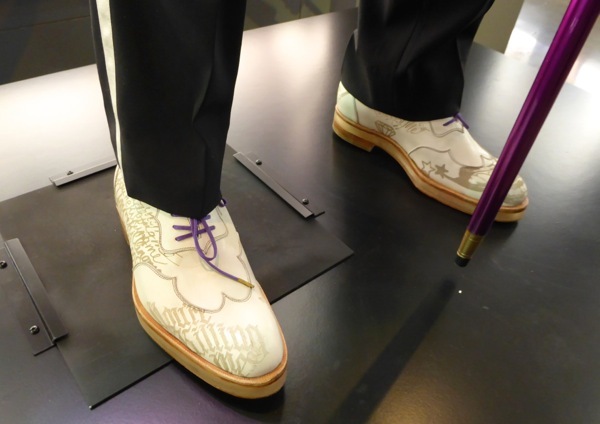 Kate Hawley was Costume Designer on this film directed by David Ayer (who suggested the gangster tattoos for the villain's edgier, contemporary look), and you can also compare this outfit to Heath Ledger's more traditional Joker costume from The Dark Knight and Jack Nicholson's Joker costume from 1989's Batman on display. 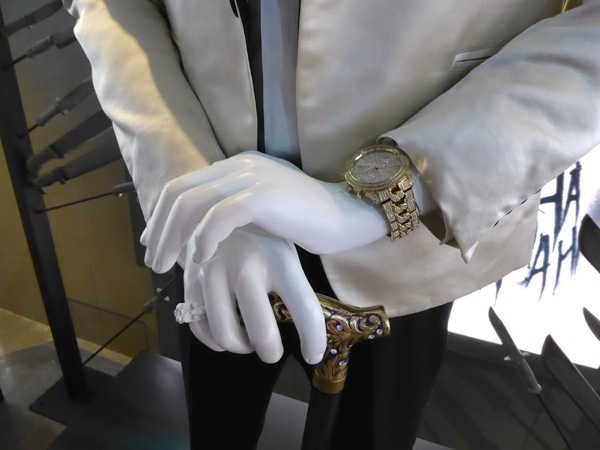 Fans of Jared Leto can also check out his costumes from Dallas Buyers Club, which earned him an Oscar win for his role as trans woman 'Rayon'. 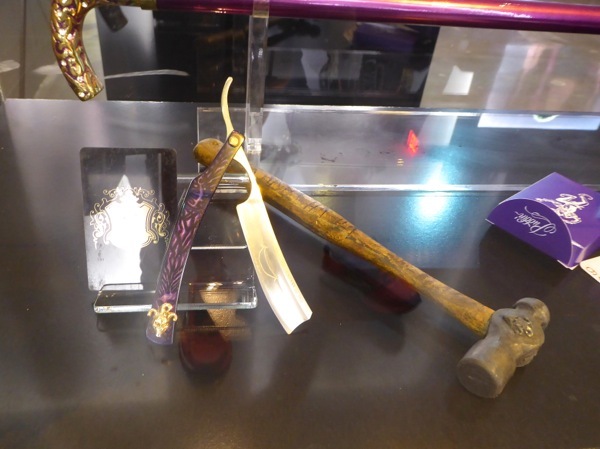 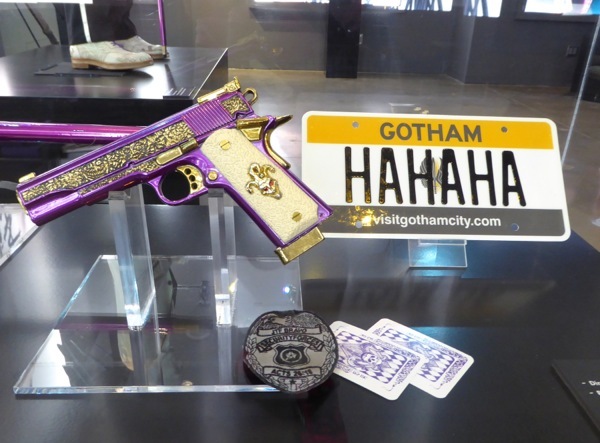 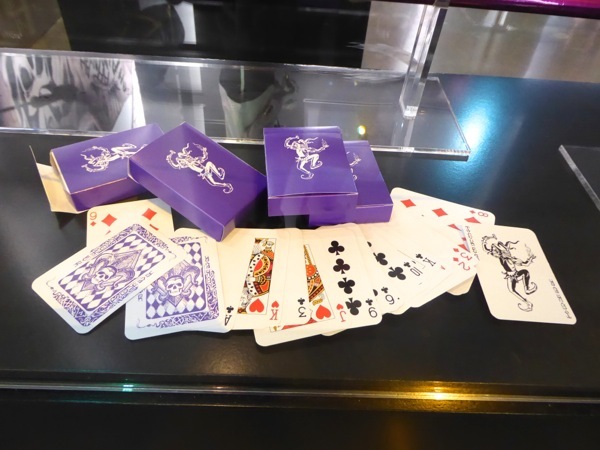 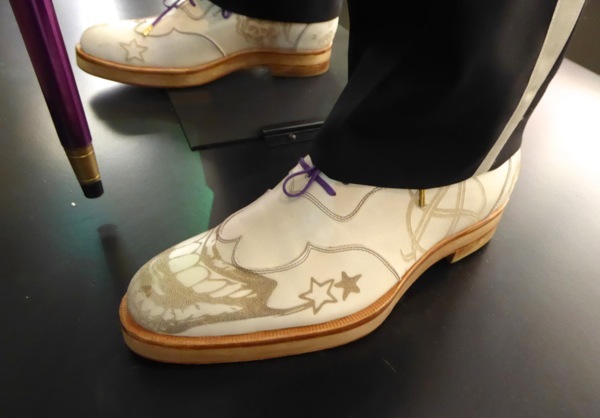 Also on display with the Joker's costume were props used by villain, including his ornate handgun, razor blade, playing cards, license plate and hammer (which cleverly has 'Ha Ha Ha' carved into the handle). 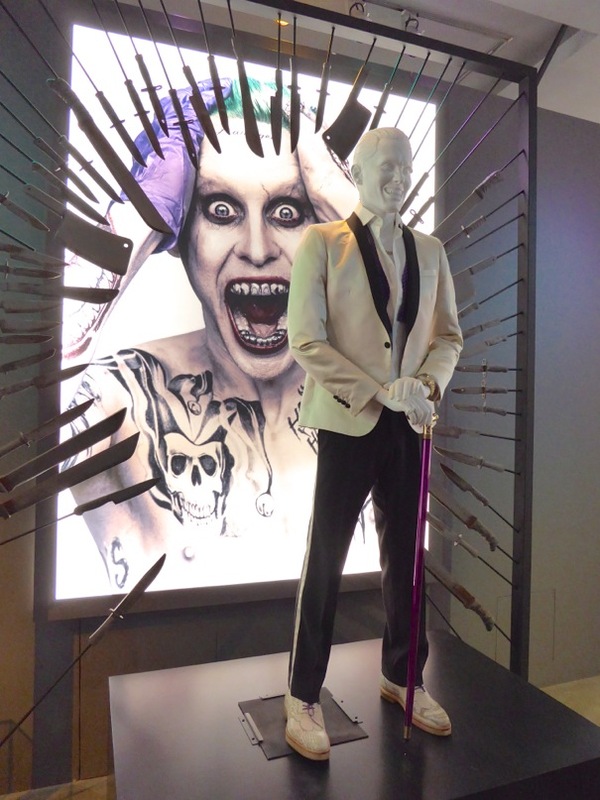 Stay tuned for more costumes and props on display from the DC movie coming to the big screen this August. 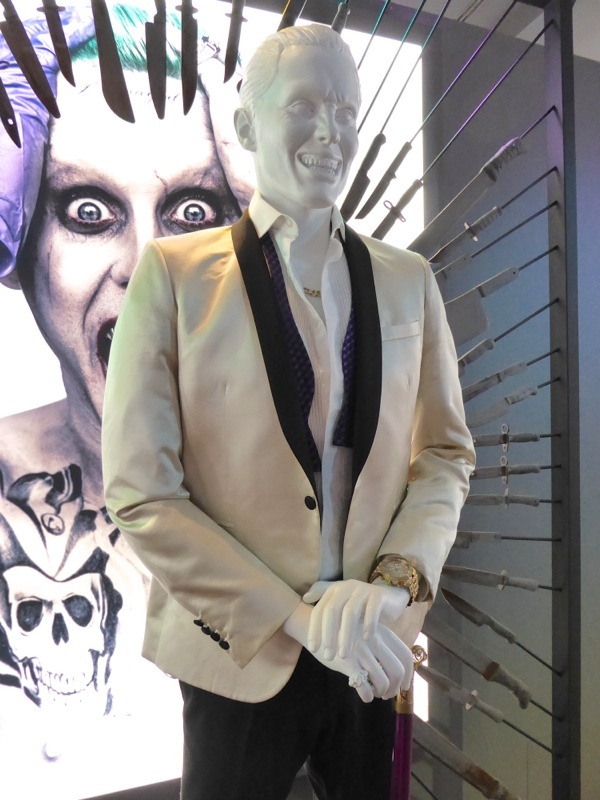 UPDATED: Make sure you also check out this other crazy Joker costume from Suicide Squad on display.